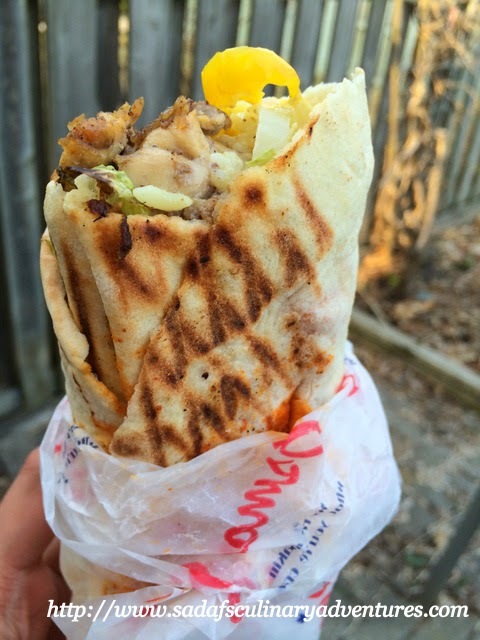 Over the past few years, shawarma joints have sprung up in every nook and corner of the GTA (Greater Toronto Area). 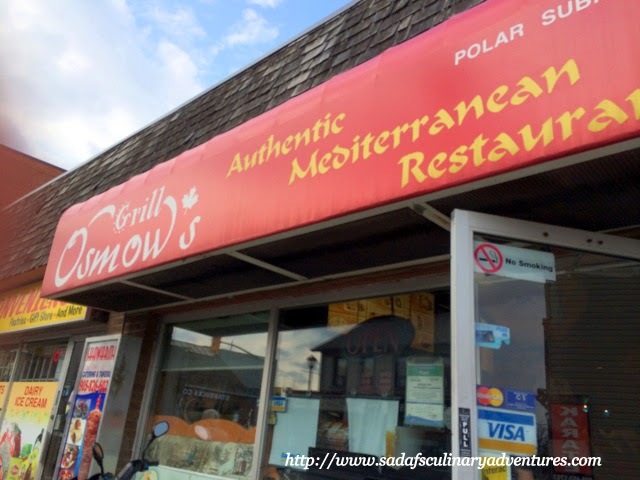 I have been to quite a few of them but often find myself going back to my of my old favourites – Osmow’s Grill located at 251 Queen St S in the Streetsville area of Mississauga. It’s a tiny place with only a few tables for dine in customers but the long queues of people from all walks of life speaks quite a bit about it’s popularity. 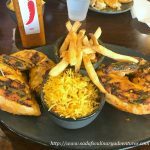 My husband and I usually opt for Chicken shawarma whereas for the kids it’s usually Chicken on the rocks, the second most popular item in the menu in my opinion. They offer different heat levels for their shawarma and let me warn you when they say ‘Hot’ they really mean it! 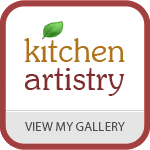 And, this comes from someone who really loves spicy food. Critics might say that hot sauces don’t belong in shawarma but I would say that if it makes the shawarma taste good, then why not. 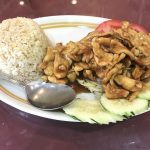 Apart from the delicious food, another plus point is that Osmow’s Streetsville location is open until 2 am on Fridays and Saturdays and 11 pm on other days, much later than other restaurants in the GTA. 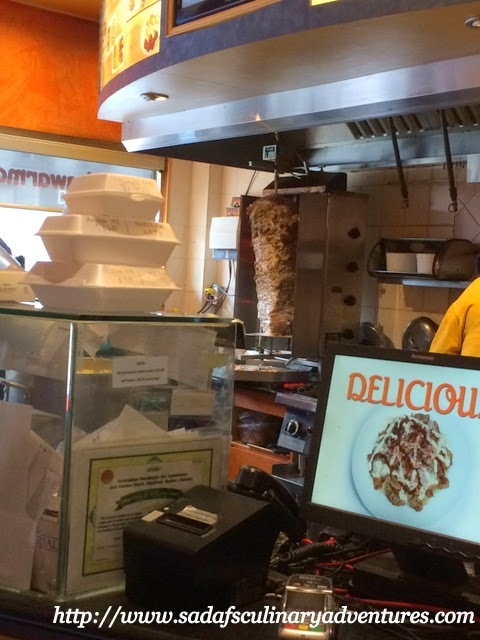 If you are craving a halal, Middle Eastern meal late at night, Osmow’s is one of your best bets. 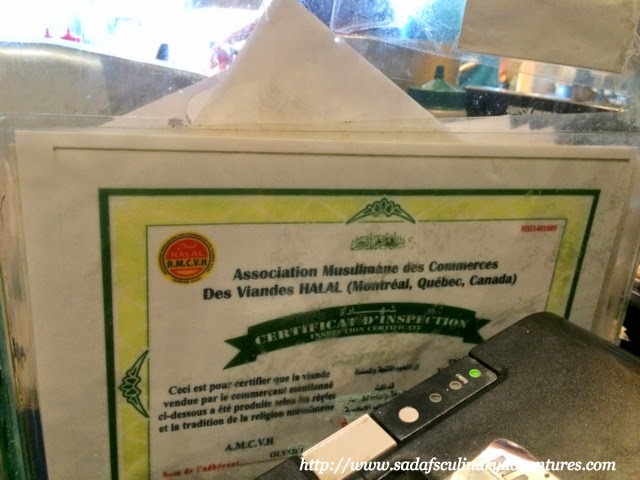 They have a halal certificate displayed near the crowded cash counter but it wasn’t until my last visit that I noticed that they also offer alcohol on their menu. 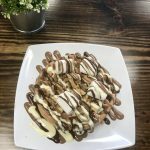 After the huge success of it’s flagship restaurant in Streetsville, Osmow’s has expanded to five other locations in the GTA- Lakeshore, Brampton, Milton, Toronto and Scarborough. 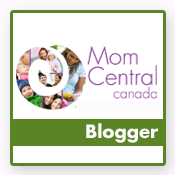 We have been to the one on Lakeshore and while the ambiance was better than the one on Streetsville, surprisingly we found the place to be empty on a weekend evening. 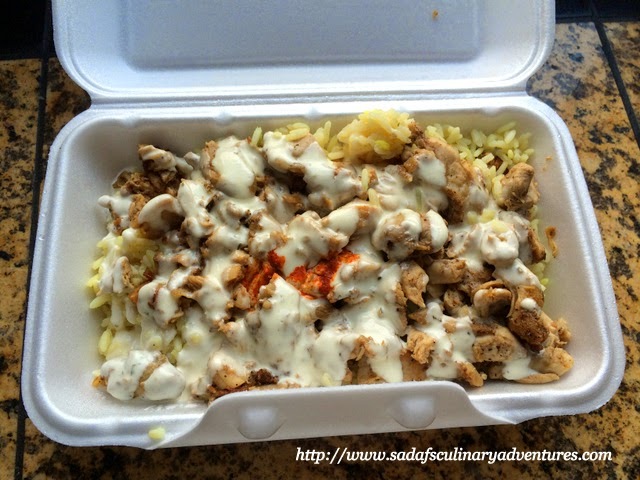 Overall, I can say that it might not be the most authentic shawarma out there but it is definitely one of the best shawarmas in the GTA. Just be prepared to wait in line. After all, good things come to those who wait. Do you enjoy shawarma? Which is your favourite shawarma joint?